US Naval Aviation Training Division recognition poster. Printed by U.S. Government Printing Office, 1944. Approximately 47 x 62.5cm printed on thick paper. 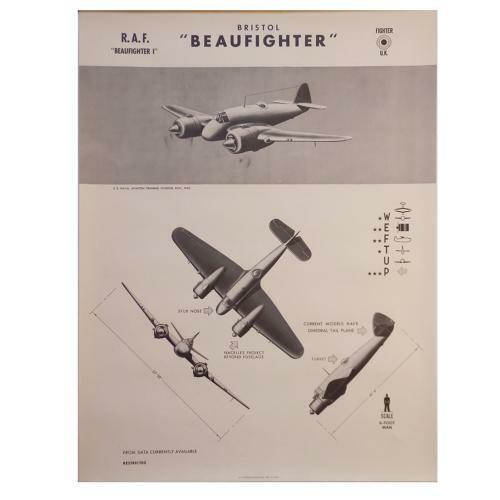 Original 'Restricted' poster of the Bristol Beaufighter I fighter. Illustrations show the aircraft in the air, from the front, side and above. In excellent unfolded condition bar light blemishes to the edges. Stock code P14258.